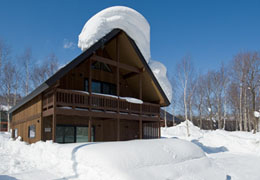 Yoneshiro takes its name from the Yoneshiro River in Akita Prefecture. 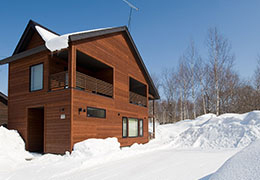 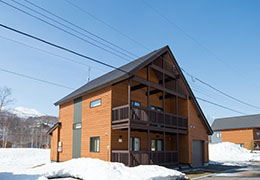 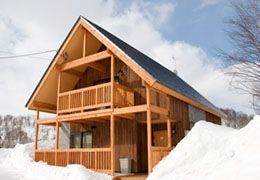 This chalet has been furnished with personal touches giving it a pleasant warm feel. 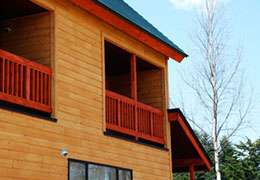 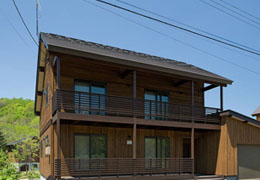 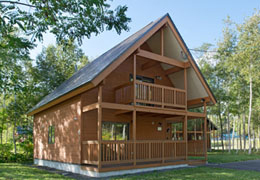 It comfortably sleeps up to 4 guests and both living room and master bedroom have covered balconies. 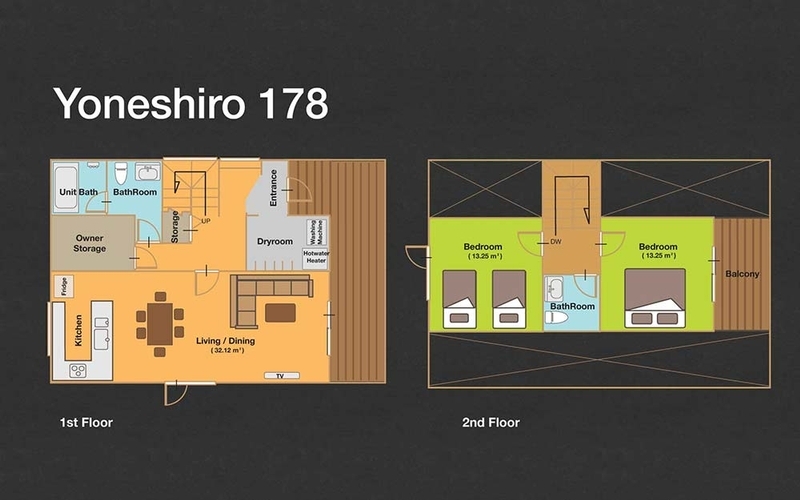 An additional two can sleep on the living room sofa bed.